This pair of refurbished speakers I sold a few years ago to an avid Genesis fan. He opted to have me "juice them up" a bit at the same time. 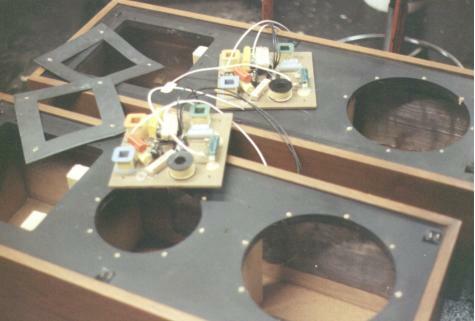 Here you can see the lead sheets lining the inside of the box, and the crossovers which were custom built to the original specifications, using premium quality parts.